An UAC has formed off the Kerala coast, almost at sea level. Some charts even depict it as a low at sea level. Another UAC has formed at 5N and 90E. The 2 UACs joining "line" to form a trough aloft. The Arabian Sea UAC will not sustain beyond 24 hrs, hence the on going medium rains in Kerala and coastal Karnataka decrease after Tuesday. But the Bay system will move NW, initially as a UAC for the next 48 hrs. It will descend as a Low, (BB-11)by the 14th of November, around the 8N and 85E region, East of sri Lanka. The system, BB-11 will move NW towards the TN coast as a depression. As mentioned on 7th, another Low forms around the Andaman region, about 93E. The 2 system can form a strong trough. (Usually called a trough "in sympathy"). The tracking of BB-11 and BB-12 will depend on the tilt of the trough. Vagaries reads the situation as BB-11 moving into TN as a depression.. The coming WD, currently as a low South of the Caspian Sea region will move into the UAE (Dubai) region on Wednesday 14th. Dubai can expect precipitation on Wednesday. a) A strong trough line is seen developing NE from the system into Afghanistan. This may literally pull the WD into the Afghan and adjoining extreme North Pakistan areas. b) The trough mentioned remains weak and not effective. In that case, the WD will be allowed to move E/NE, and move into Northern Pakistan and Northern Indian regions. Precipitation can happen in Kashmir, HP and plains of North Punjab (both sides). TO all VAGARIES readers and especially Rajesh sir.. HAPPY DIWALI TO RAJESH SIR & ALL VAGARIES READERS. Happy Diwali ,rajesh sir and to all regular readers. very humid morning, almost 74percent humidity , with temperature hovering around 26.8, Rajesh sir what could be the reason. the above coment was regarding vasai. Badlapur min temp also increased today. It was 21 C @ 6.30am today. And also as usual its foggy here. Badlapur enjoys fog almost on daily basis. One thing is also observed when min temp is below 18 C then less foggy !! 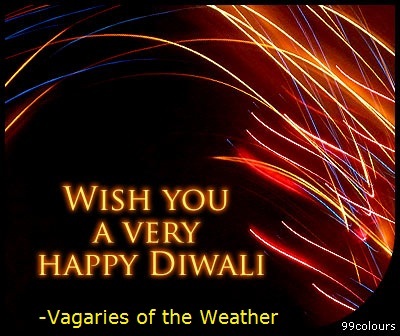 happy diwali to all the members of vagaries family!! 200 hpa jet is from S-SE direction upto 15 degree north latitute but after that it is from SW direction so I think that 98B will move in N-NW direction till 15 degree and after that it will move in the NE direction and will hit the myanmar/Bangladesh coast as depression. What's your views on this Rajesh sir?? Thanks everyone and again, A Happy New Year to All. Vagaries' entry for the contest will be up tomorrow, 14th. AS i told earlier there will be no rains or any influence of this depression on TN chennai as it is likely to move away towards thailand or bangladesh, weather will be mostly clear in chennai. Sir. Means Tomorrow an last day for alteration. Then tomorrow doing some alteration in mine estimates. Wish all readers happy festival. 1. November has been unusually dry for TN. 98B seems to move away from TN. Not sure I feel SE interior India is still driest place (in India). TD 25 has formed over western Pacific Ocean near to Bay of Bengal.This tropical depression 25 and strong wind shear over the Bay of Bengal(around 30 knots) will not allow the 98B to intensify beyond low pressure. So Chennai was cooler than Mumbai today !! And next three days Chennai's min temp may fall further around 19 C !! @ Rajesh Sir. As per current satellite image some band of clouds are seen entering North Konkan coast. They are spread right from Oman coast till North Maharashtra coast.. So whether they are part of WD system?? 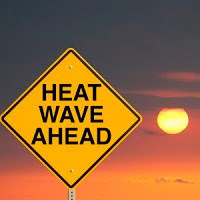 @ Rajesh sir During winter season Pakistan,Afghanistan,Jammu and Kashmir are under intense high pressure so how this western disturbance is able to survive under such high pressure?? 2. the rising air condenses to form clouds. The incoming air in the region is hence cold at the surface..